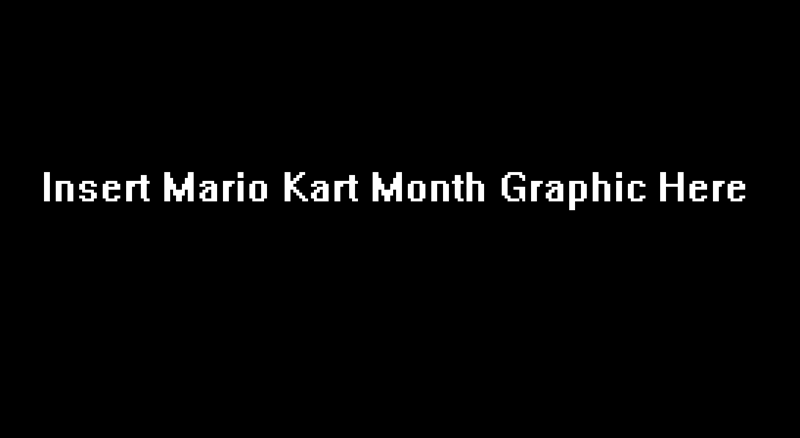 Mario Kart Month continues… surprisingly (new readers may not know I tend to take a lot of breaks or start-stop projects). 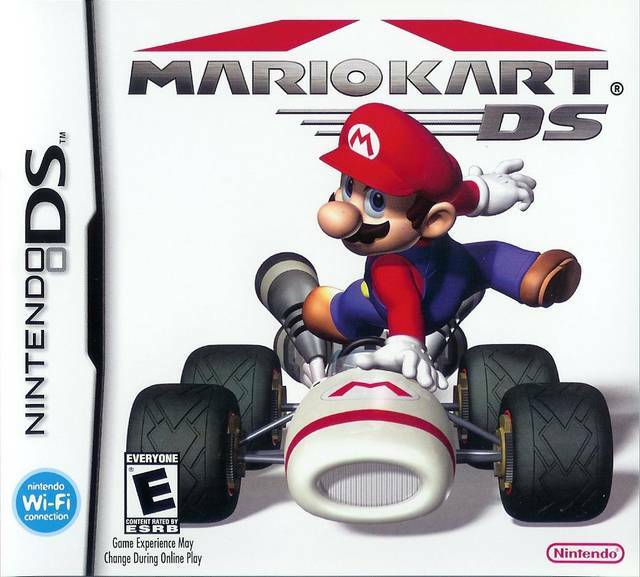 A lot of focus and discussion, or rather, arguments about the Mario Kart series centers around either the characters or the games, themselves. This is why I chose to do the Top 5 on the tracks. 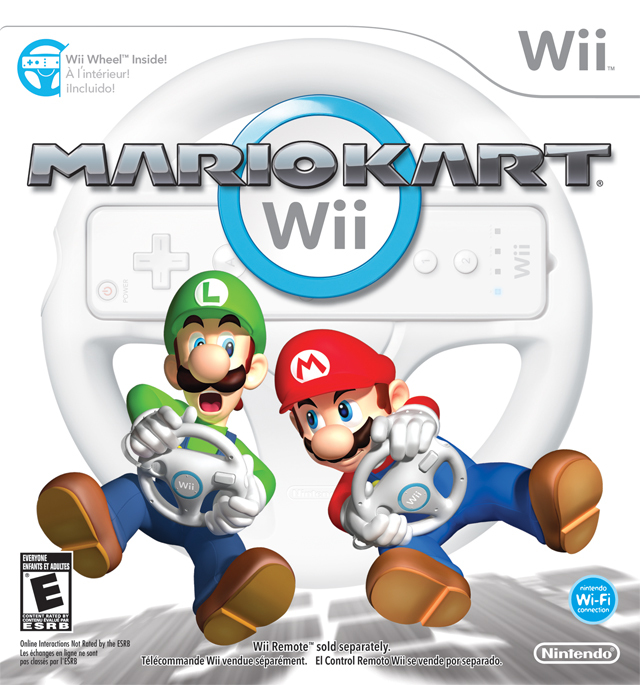 I don’t feel like tracks come up enough when discussing the merits of the Mario Kart games. I feel like the tracks have as much personality as the racers. I can’t think of any particular track that feels exceptionally bland. 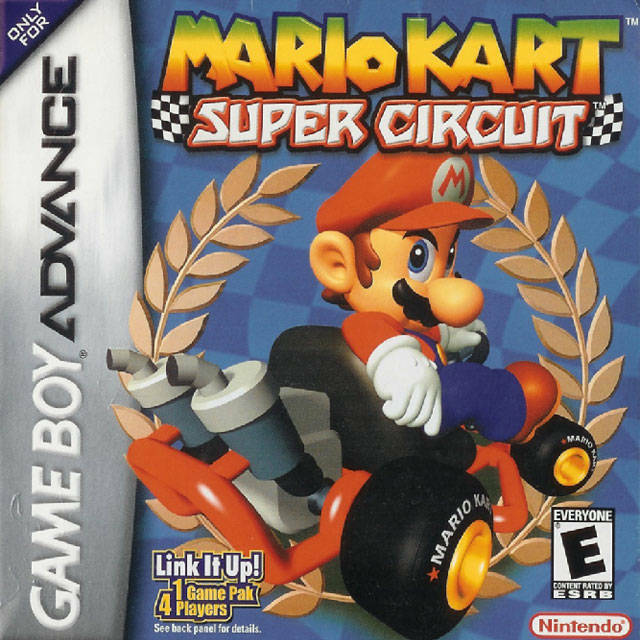 Between actual go-kart tracks and tracks that take you into space on a road made of reflected and refracted light, there are enough tracks to fit anyone’s playing styles. The following is my personal Top 5. 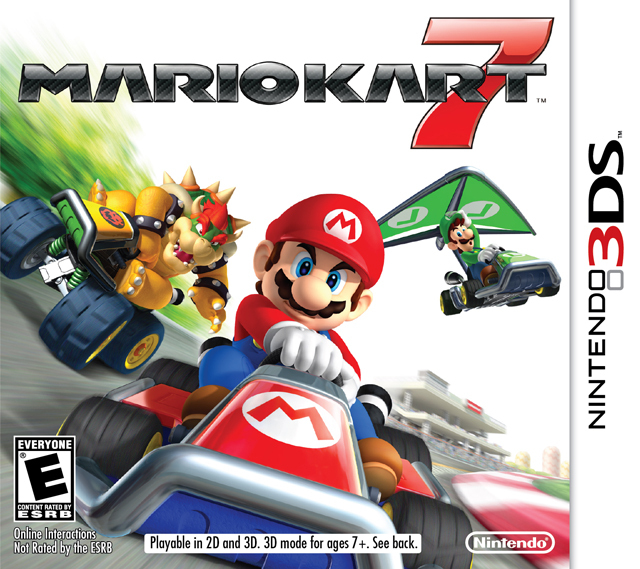 These are my favorites, not necessarily THE best tracks in all of Mario Kart. Let’s a-go! I actually added this one in as an honorable mention after I finished typing this article. While I don’t care for MOST of this track, there is one corner near the end of the circuit that I wanted to highlight. This corner ALWAYS gave me fits when I played this track. I always ended up either in the grass, well off the track, or in the water. The corner is very reminiscent of the infamous corkscrew turn at Laguna Seca. Those that play Gran Turismo or Forza Motorsport may be very familiar with this corner. It’s a quick left turn, immediately followed by a quick drop, immediately followed by a quick right turn. This corner cost me quite a few 1st place finishes for me. 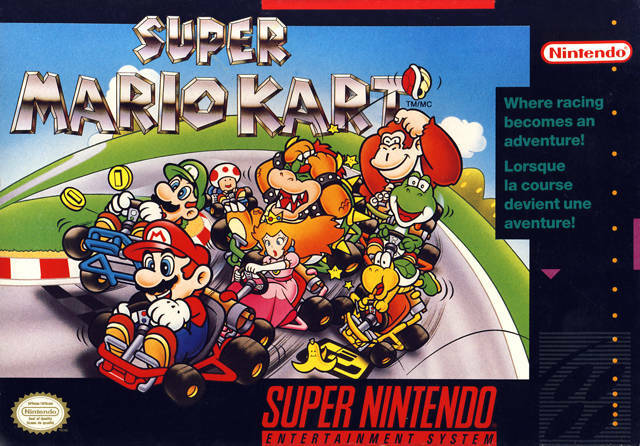 But the reason I wanted to highlight it here is because it MADE me want to become a smarter Mario Kart player. This corner made me not want to rely on items and luck to ensure victory. I wanted to learn how to take this corner smarter. I learned the merits of drifting, letting off the gas, and even braking because of this corner. Lessons I would apply to other racing games and even real-world go-kart racing. I learned you can’t just go flat-out all the time. Sometimes slow-and-steady DOES win the race. 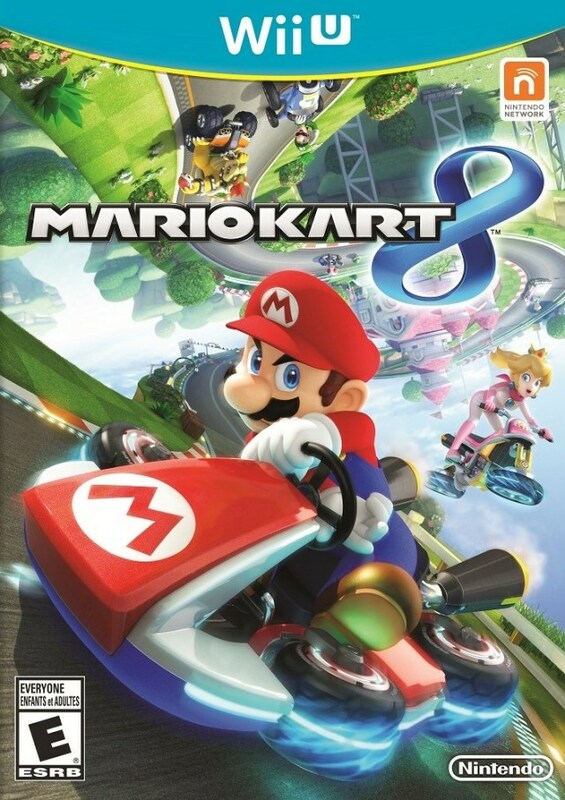 This is one of the newest tracks in the series, being part of a DLC pack for Mario Kart 8. While I haven’t raced on it more than a few times, it has left quite an impression on me. I love how it combines simplicity with exciting atmosphere. 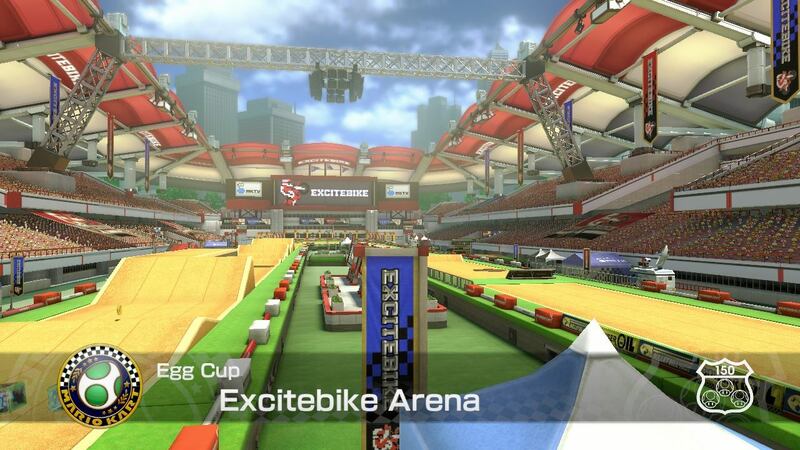 The Excitebike Arena is a basic oval shape, but features motocross-style jumps and classic Excitebike hazards. This takes the 5-spot solely for being the newest of the tracks on this list. 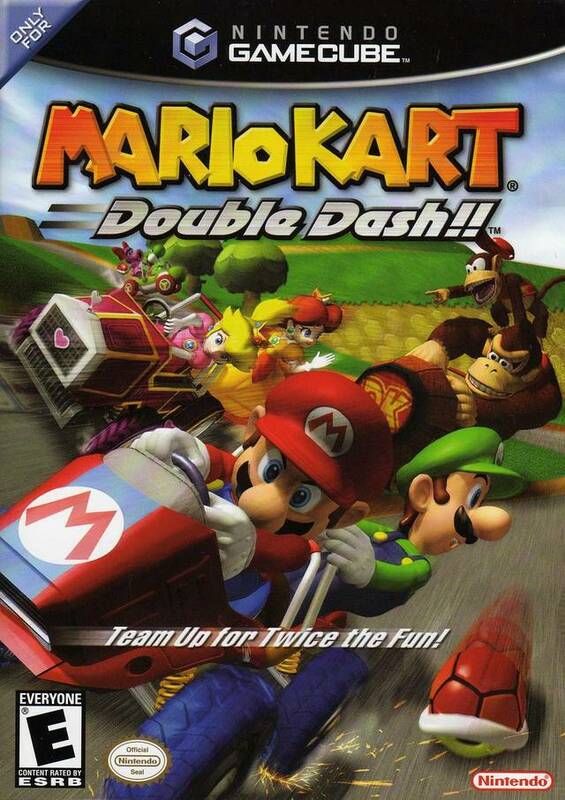 I look forward to this track and this track alone when playing Mario Kart: Double Dash. This track is so frantic and fusterclucky, but in a good way. It’s an extremely short track but lasts for 7 laps. The action is so frantic, that anyone can win this race. Even if you find yourself sitting in a low position, you can still affect the outcome of the race, due to the ease of lapping and getting lapped by other racers. 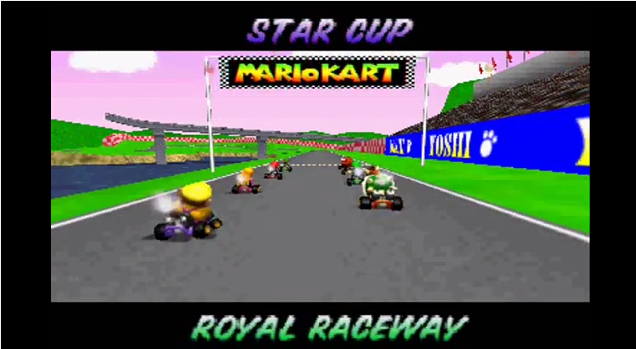 It’s one of the few bright spots in a Mario Kart game I don’t hold in too high of regard. 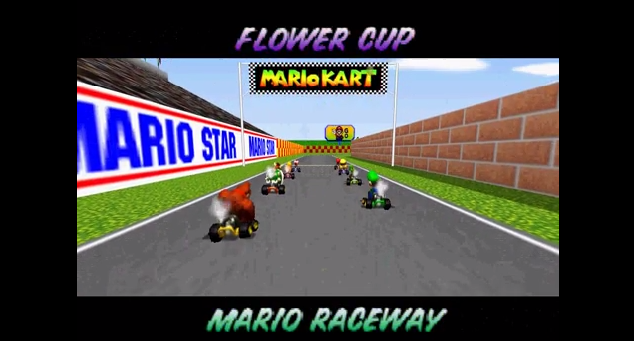 It’s a good thing this track was brought back for the retro cups in future Mario Kart iterations, because this is a track that makes an already fun series, just that much better. This was my favorite track when I was younger (read: before I could drive). I always thought it would be fun to take a go-kart onto a real road and this was as close to simulating that as I could get (actual, real life go-kart tracks, notwithstanding). 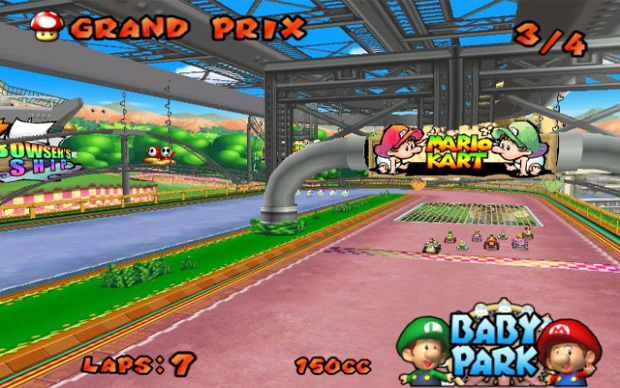 The track is a rather basic shape, but the cars and trucks on the road provide one of the most frustrating hazards to avoid in the entire series. Successfully avoiding those that you’re sharing the road with is almost as rewarding as getting the victory. 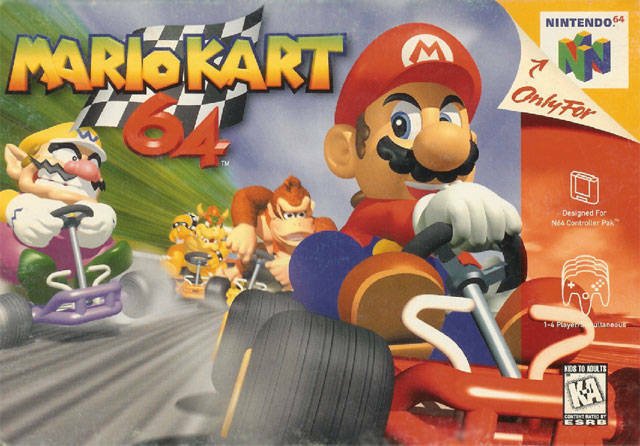 It’s like “Yeah, I only finished 3rd, but at least I didn’t plow into yet another semi-truck for the 17th time.” I feel like this is one of the most challenging tracks in Mario Kart 64. If it were a more abstract shape and not a figure-8, it could have probably fit in with the Special Cup tracks. Wow. What a track. The setting is unique. It’s dark, but not in a typical Bowser way. 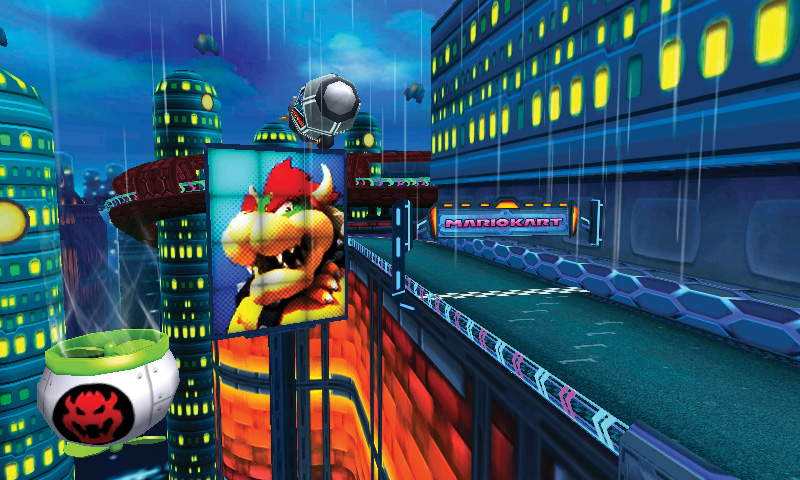 The environment is much different from your typical Bowser’s Castle course. It reminded me more of the Oil Ocean and Metropolis levels from Sonic the Hedgehog 2. Or even downtown Hill Valley in Back to the Future Part 2, with Biff’s Pleasure Paradise smack dab in the middle. It has a very dystopian vibe. Like, it almost feels like this course takes place in an alternate universe where the Mario Brothers don’t exist and Bowser grows more powerful. As for the track itself, it is superb! I’ve never seen a track where one stat had such an advantage over the others. This track has so many tight corners, a well-handling character/kart setup combo is a MUST. Top speed is useless here. You are turning, one way or another, almost the entire time on this track. Even the few, short straightaways have to be spent planning and getting into position for the next corner. 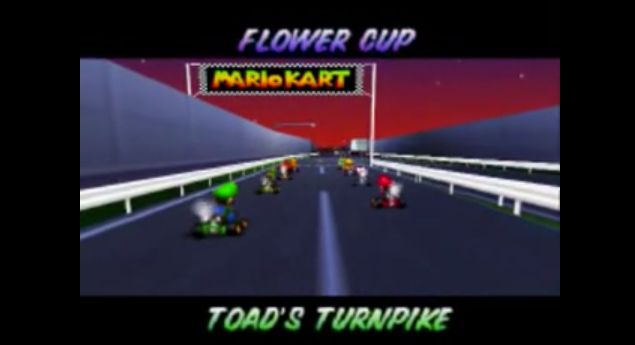 This track is the technical Mario Kart racer’s dream course and it’s no surprise that it remains a favorite of the diehard Mario Kart community. This right here, I feel, is the DEFINITIVE Mario Kart track. I’ve always enjoyed the tracks that actually look like go-kart tracks (not to discount the other, more imaginative courses). But this has everything going for it. Semi-realistic setting, long straightaways, tight corners, sweeping corners, tricky shortcuts. This circuit is the most complete course. It has everything. Even the hazards are subtle. There’s nothing in the environment designed to screw you over. The only thing you have to watch out for is your fellow racers. All these are factors I took in to account when I decided that this was my favorite track in the entire Mario Kart series. So there we are! Those are my top Mario Kart tracks! What are your favorites? Agree or disagree with anything on the list? Let me know in the comments or on my Facebook page!